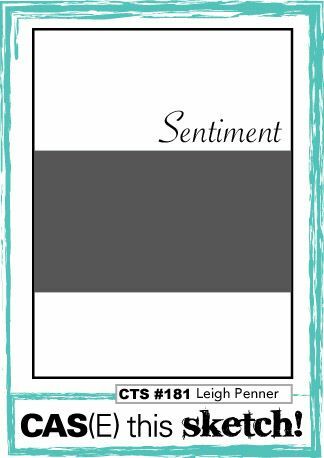 Stamp the sentiment with Night of Navy ink at the bottom right on the front of crumb cake. Adhere the strip of Floral Boutique DSP as shown above the sentiment. Stamp the floral image into the center of your Whisper white panel with Night of Navy ink. Secure this panel to the Night of Navy panel as shown. Wrap a piece of Silver Natural Trim along the bottom of your Night of Navy panel and secure to the back of the panel. Make a bow and place as shown on the ribbon wrap with a Glue Dot. Put Dimensionals onto the back of the image panel and place onto your card as shown. Nacho Average Challenge, Another go! I really love this Playful Backgrounds stamp set -- it's alot of fun!! I can't seem to put it down! haha!! I used the Bunch of Banners Framelits to create the sentiment -- love the way it turned out! I would love to have you play along with us!! Head on over to the Nacho Blog!!! Welcome to another week of What Will You Stamp?! This week, we were challenged to use the Pop of Paradise stamp set. This is certainly a fun set -- especially during these summer months here in North America! And, when you pair it with the coordinating Pop of Pink Specialty Paper, you get some fun cards!!! Now, go get to stamping!! And, don't forget to share what you create! Dust the Shimmery White cardstock with your Embossing Buddy. Take the butterfly image from the ‘In this World’ stamp set and stamp into VersaMark, then onto the bottom right of the Shimmery White cardstock. Cover with White Embossing Powder and set with your Heat Gun. Open the Crumbcake Inkpad – making sure there is a deposit of Crumbcake Ink in the lid. Use the large Aqua Painter, generously squeeze water into the lid and mix together with the ink there. Randomly make a large Crumbcake splotch onto the Shimmery White Cardstock with the Aqua Painter. Do not colour the butterfly – leave white. Dry with your Heat Gun. Carefully clean up any excess water in the lid with a paper towel. (Adding extra water to the inkpad’s pad is not a good idea). Repeat the process in instruction point #3 but this time only cover around half of the Crumbcake splotch with other brighter coloured inks. I’ve used Crushed Curry, Peekaboo Peach and Calypso Coral. Make interesting shapes. Experiment with swirls, letting the water roll across page etc. Colour the butterfly with your Aqua Painter and inks. Colour suggestions – Watermelon Wonder, Crushed Curry and Peekaboo Peach. Taking darker coloured inks such as Smokey Slate, Cucumber Crush and Island Indigo add more colour around butterfly as per the technique in instruction point #3. Keep adding colour until you’re satisfied with the result. Heat set with your Heat Gun. Using Momento Tuxedo Black and the sentiment from the ‘In this World’ stamp set, stamp into the centre of the Shimmery White card front. Adhere the Shimmery White watercoloured card front to the Whisper White Thick Card Stock with Mulit-purpose Liquid Glue. Adhere the Shimmery White/Whisper White thick card front onto the Basic Black card. Bonus Days & Holiday Catalog!! Have you taken advantage of the Bonus Days yet? For each $50 you order in July, you'll get a $5 coupon from Stampin' Up! to use in August!! The Holiday Catalog is coming soon!!! I can't wait to see it!! you've place a $50 order with me in the last 2 months, you'll receive one in the mail, sometime in August!! If not, it's not too late! Shop now!! You're a member of my upcoming stamp club! Click HERE to join today! I will also have them available for pickup as soon as I receive them! Add second background texture stamp with So Saffron stamping twice without re-inking to create variations of tone. Good morning!! The Nachos have a fun color challenge for you this morning!! Make sure you check out the design team's artwork -- they are amazing!! Head on over to the Nacho Average Challenge Blog!! Welcome to another week of What Will You Stamp?! This week, we were challenged to use the Jar of Love stamp set. You can do so much with this set!! But, my favotire image is the little fish! He's just so cute!! I also love that there are matching framelits! (Everyday Jars Framelits). Lot being able to cut out images precisely and in seconds! I hope you'll play along with us!! We love seeing all the great ideas you share with us!!! The flowers are all watercolored with Melon Mambo!! Isn't it amazing how you can change the color just by how much water you use?!! And, the light blue -- it's Island Indigo!! Love watercoloring -- seems to be "my thang" right now! haha!! Here are all the challenges -- be sure you hop on over and see all the great ideas!!! There is so much talent out in blogland!! I'd like to thank ALL the challenge blogs out there -- it's a lot of work, and I want you to know how much I appreciate all you do!!! Summer Sorbet - Wedding Congrats! The Sahara Sand was hard to add -- so I just used it as my card base!! Hopefully, it still counts! haha! !